Our guide to the most intriguing movies opening in UK/ROI cinemas in October. It's October, and that means horror movies! While we have to wait until next October to get an actual Halloween movie during Halloween, there are some interesting horrors hitting cinemas this October, along with festival darling Call Me by Your Name, the return of Sally Potter and of course, the long awaited sequel to a cult 1982 sci-fi thriller. For decades, a sequel to Ridley Scott's genre defining 1982 sci-fi flop seemed like an impossibility, but in today's nostalgia obsessed Hollywood, everything old is new again. 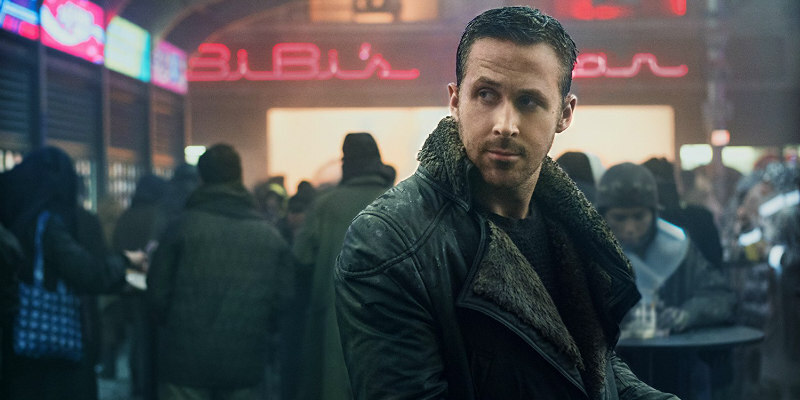 Set 30 years after Scott's film, Blade Runner 2049 stars Ryan Gosling as a new skin job hunter who uncovers a plot to end humanity. Harrison Ford returns to the role of Rick Deckard. Is he human or android? I guess we'll find out. With Denis Villeneuve directing and Roger Deakins on DoP duty, expect some sumptuous eye candy. Destin Daniel Cretton follows up his acclaimed second feature, Short Term 12 with this adaptation of Jeanette Walls' 2005 memoirs. The story follows Walls (played as an adult by Brie Larson) as she contends with an unconventional childhood thanks to an alcoholic father (Woody Harrelson) and eccentric mother (Naomi Watts). Critical reaction has been lukewarm in the US, but we're eager to see Cretton reteam with Larson. This British comedy horror boasts a novel premise - an aging virgin and his loudmouth mate find themselves on a double date with two sisters who seem out of their league, not realising their dates are a pair of serial killers. Writer-director Benjamin Barfoot's debut has proved a hit on the horror festival circuit with its raucous mix of gags and gore. Celebrated British filmmaker Sally Potter returns with her first film since 2012's Ginger & Rosa. The Party is an ensemble comedy headlined by Kristin Scott Thomas as a politician throwing a shindig that grows increasingly out of control. The cast also includes Timothy Spall, Cillian Murphy and Patricia Clarkson. Edge of Tomorrow took the premise of Groundhog Day - a protagonist forced to relive the same day over and over - and applied it successfully to a sci-fi setting. Now, Happy Death Day attempts to work it into a slasher setup, with Jessica Rothe starring as a young woman forced to continually relive her birthday, which always ends with her death at the hands of a masked killer. Welsh-Zambian director Rungano Nyoni's debut feature casts a satirical eye on the continuing practice in her home country of accusing young women of witchcraft. Child actor Maggie Mulubwa stars as a girl exiled from her village when the locals decide she possesses evil powers. After falling in with an opportunistic huckster who enrolls her in a 'witch camp', the young girl becomes a celebrity. A couple of city slickers learn the rural Icelandic house they are restoring may be haunted by the spirit of a child who died 60 years ago. Meanwhile, across the bay, a woman has seemingly taken her life while investigating the recent disappearance of another young local boy. Are the two events linked? Find out in director Oskar Thor Axelsson's Nordic 'chiller'. Daniel Radcliffe continues to distance himself from Harry Potter in this true life survival tale from Wolf Creek director Greg McLean. Radcliffe is Yossi Ghinsberg, an Israeli tourist who found himself battling to survive when he joined a foolhardy expedition into the jungles of Bolivia in the early '80s. Expect an Ozploitation riff on The Lost City of Z. As screenwriter, veteran filmmaker James Ivory (of Merchant Ivory fame) adapts Andre Aciman's coming of age novel, with Luca Guadagnino directing. It's the story of a Jewish teen (Timothee Chalamet) who experiences a sexual and religious awakening when an academic (Armie Hammer) comes to stay at his family's Italian villa. Since premiering at Sundance back in January, Call Me by Your Name has been collecting critical accolades, and is expected to figure heavily in awards season. We seem to be getting a major South Korean release every month now, and that's usually no bad thing. This month it's director Byun Sung-hyun's The Merciless, a gritty prison thriller that charts the friendship and ultimate betrayal between a hardened inmate and a new prisoner. Being a Korean movie, you can expect it to deliver a lot more than that simple premise suggests.